A few weeks ago my heart skipped a beat when I realized that I was driving around without car insurance. 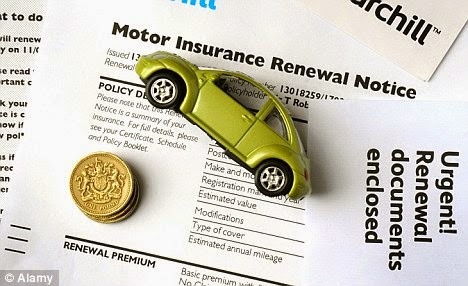 The reason I hadn’t renewed was because I was not sent the usual paperwork to renew my insurance. I then contacted the broker I have been with for the last 10 years to discover that since they were taken over by another company, they no longer send out a physical document, and sent me an email reminder instead. Unfortunately the email they had was incorrect, and on top of all that, the email didn’t bounce, so after sending me one email and then a follow email, nothing further was done…. and I was driving around without car insurance. I quickly obtained a quote from both www.123.ie and www.chill.ie and in the end I got my car insurance through www.chill.ie . I was very impressed with their customer service – they rang me to check if I had any questions and received their documentation. I then received a text they had received all my paperwork, and then I received a text to let me know that my tax disk had been issued and that it was on its way. So check your insurance policy( ies) as you may no longer receive physical paperwork to remind you that your policy is about to expire! PS… I wrote another blogpost about finding (cheap) car insurance, you can find it here. Like my Facebook page – your chance to win a 2015 Irish Calendar!